YOUTH 13 - 17 years. Must be accompanied by parent or adult guardian. CHILD 12 years and under. Must be accompanied by parent or adult guardian. 2 DAY YOUTH 13-17 years. Must be accompanied by parent or adult guardian. 2 DAY CHILD 12 years and under. Must be accompanied by parent or adult guardian. Free tent camping is included with all festival tickets. Remember to buy a parking pass if you’re driving a car. Situated in a beguiling bay on the shores of Tapapakanga Park is a boutique music and arts festival like no other. An entertainment extravaganza and New Zealand's greatest dress up party. We invite you to embrace the theme and join our mindful tribe of party animals! Splore features a stunning beachside location, an eclectic lineup of local and international music, dynamic visual arts, diverse performances, a dedicated kids’ zone, wellness centre, a range of workshops, forums, sustainability practice and camping just 70 km southeast of Auckland CBD. The Splore kaupapa (philosophy and ethos) is about celebrating arts and culture with a community of like-minded people who love and respect our environment. Splore Festival is family friendly - kids and youth ticket discounts. To make it affordable for families with kids 12 years and under are free (just pay $6 wristband fee). Youth tickets are $150+BF for teenagers aged 13-17. All children and youth must be accompanied by their parent or a guardian who is at least 30 years old. Unaccompanied kids and youth will not be permitted into the event. Government issued ID must be shown at the gate. Terms and Conditions apply. All festival tickets include access to free camping. Splore is a camping festival with a range of camping options to suit everyone. Bus tickets, Parking Passes and Thursday entry upgrades available now HERE! Tapapakanga Park is a precious and beautiful coastal taunga that offers safe swimming on a pohutukawa fringed coastline. With a freshwater stream and stunning vistas over to the Coromandel peninsula. We are grateful to be able to come together on this sacred land that has significant historical stories with the tangata whenua, Ngati Whanaunga, Ngati Paoa, the Ashby family and Auckland Council. Splore is committed to ongoing sustainability. We strive to minimise our footprint and facilitate proactive features that make Splore Festival a leader in this area. Let’s all work together as a community and make this a reality. Follow us on Facebook or sign up to our newsletter for all the latest Splore news, info and updates. 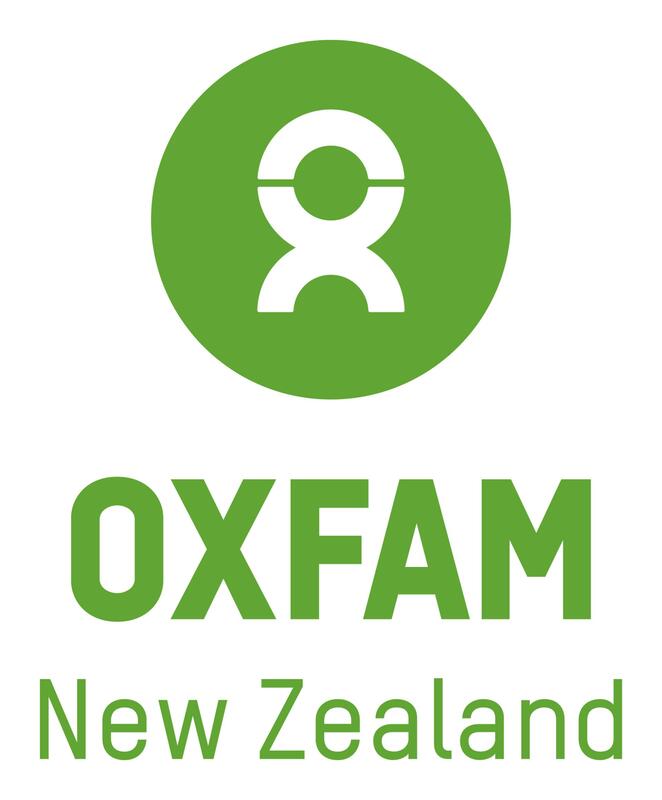 Splore is proud to have Oxfam New Zealand as its new charity partner, where a world free of the injustice of poverty is a shared vision. When buying a ticket you can make a donation to Oxfam New Zealand to support the work they are doing with our Pacific communities. Oxfam’s vision is a world free from the injustice of poverty. One where everyone is valued, can enjoy their rights, and can influence the decisions that affect them. Our movement is a global one - fighting for change by empowering people to create lasting solutions to poverty, for a secure and just future. We’re ending poverty from the ground up, sustainably, for good.